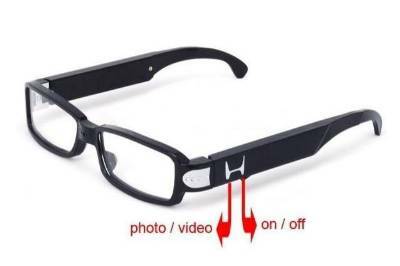 Glasses Style Hidden Device: Easy to Carry, Fashion Design. 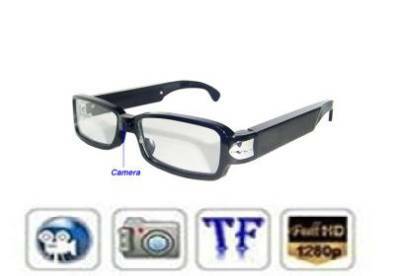 The camera is located in the center between the two lenses, and a start/stop button to the side. 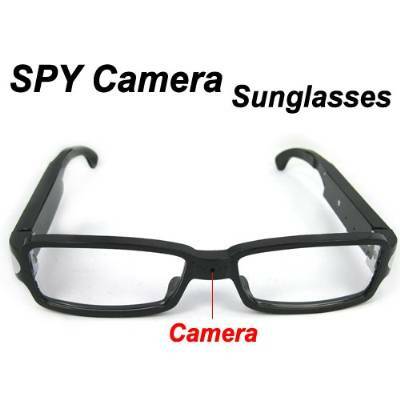 High Definition Camera: It comes with a 5 Mega pixel high definition mini spy camcorder built in. 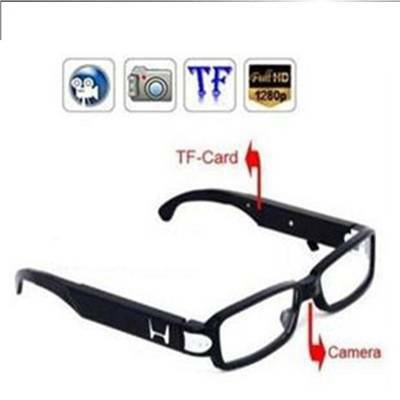 Support Memory Card: It supports up to 8GB Micro SD (TF) card.